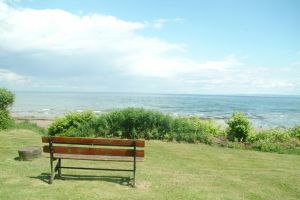 Arran has a vast diversity of things to do. It has something for all sorts of people. There are many visitor attractions to see such as: Brodick Castle, Arran Aromatics, Isle of Arran Distillery, Arran Heritage Museum, Paterson Arran, Balmichael Visitor centre and don`t forget the Arran Brewery. The island is home to many crafts people with a wide variety of goods available in craft shops around Arran. It is rich in history with three castles and varied prehistoric sites. It`s also one of the world`s classic geological locations with diverse and beautiful rock formations, spectacular cliffs, etc. The wildlife on Arran is something definitely worth looking out for with golden eagles, ptarmigan and many other bird species, stags, seals, otters, badgers, etc. It`s also home to the, now rare in Scotland, Red Squirrel. There are a lot of walks to do all around the island, many outdoor adventure activities, seven golf courses, great cycling routes, and you can also go riding.